Welcome to Manjaro Tutorial. 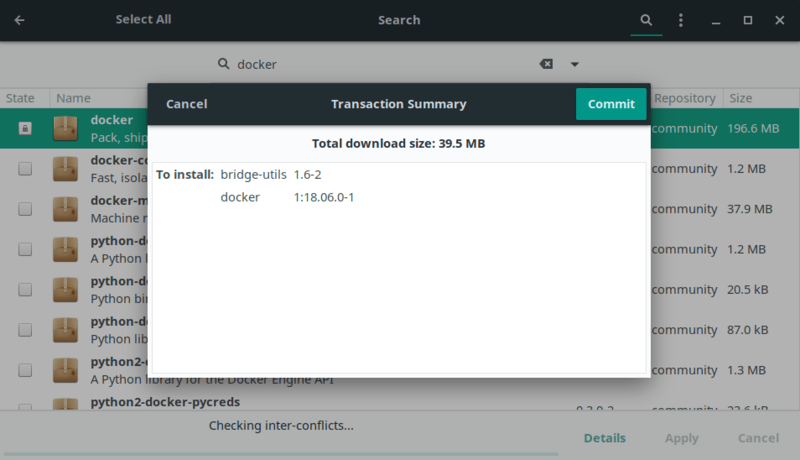 Today we are going to learn how to install Docker on Manjaro 18.0. Docker is a powerful virtualization software that lets us to build, deploy and distribute our applications. The latest version of Docker Community Edition when this article is being written is version 18.06.Let’s get started. 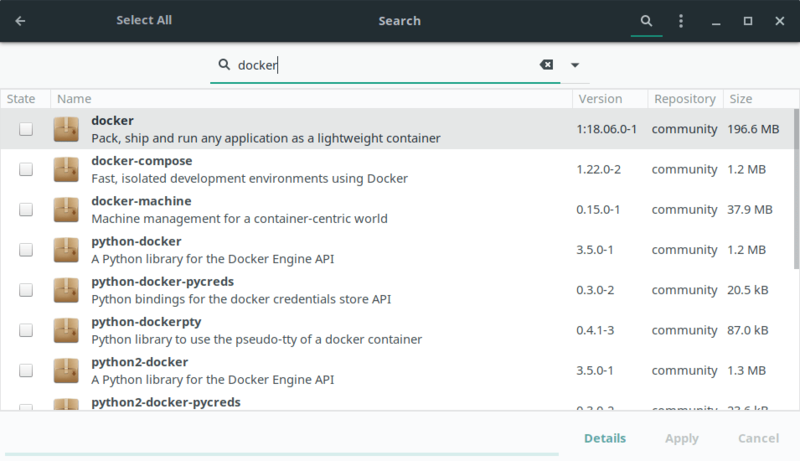 Open Pamac and then type docker on the search box. You should see many matching packages in the search result. As shown on the picture above, mark the first entry and then press Apply. The installation will start immediately. It should display detailed information about your Docker version.